I’m not a medical expert. I am simply researching Hashimoto’s Thyroiditis, compiling information, and publishing it here for your benefit. I cannot guarantee 100% accuracy on any information published here. There is constant debate in the medical community regarding Hashimoto’s and hypothyroid issues. I will strive to be as accurate as possible and will try to keep this site as up to date as possible. ALWAYS consult with your doctor about the information you read here and before trying any new treatments, supplements, or diets. 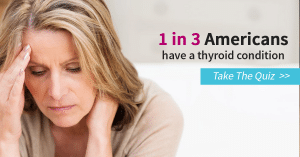 If you have Hashimoto’s Thyroiditis or THINK you might have it, please see an endocrinologist or thyroid specialist, as they are more knowledgeable about it than the average family practice physician. Any links on this site to other sites are not endorsements unless explicitly stated. I am not responsible for the content of the sites linked to from this site, but I urge you to keep in mind the disclaimer above for any medical site or site about Hashimoto’s Thyroiditis that you visit. Consult with your doctor!